Every individual and family has their own specific insurance needs. It is our job to take your needs and put them into customized insurance quotes that offer competitive premiums and competitive or superior products. We strive to do so while still providing professional and friendly service. With over 50 years of combined insurance experience, the Gary J Bach Agency is ready to be your insurance professional! Gary has successfully owned and operated an Insurance Agency since 1972. In March of 2002, he opened this agency in Rockton, Illinois. 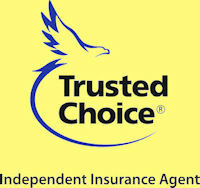 Since then the Agency has contracted with some of the finest Insurance Companies in the business. “The Gary J Bach Agency is intent on providing the finest insurance coverage at the lowest possible premium while maintaining individual service and satisfaction”. Tim Hall started his independent agency from scratch in 2012 and recently merged with the Gary J Bach Agency. He’s licensed to sell property, casualty, and life insurance in both Illinois and Wisconsin. Tim graduated from Rockford Lutheran High School and received a bachelor’s degree from NIU. He is dedicated to serving in the local community and is enjoying what the Rockton area has to offer. Although the Gary J Bach Agency is located in Rockton, IL, the agency services policyholders in various cities throughout Illinois and Wisconsin, including Rockton, Roscoe, South Beloit, Machesney Park, Loves Park, Rockford, Winnebago, Pecatonica, Poplar Grove, Freeport, Belvidere, Durand and Beloit.